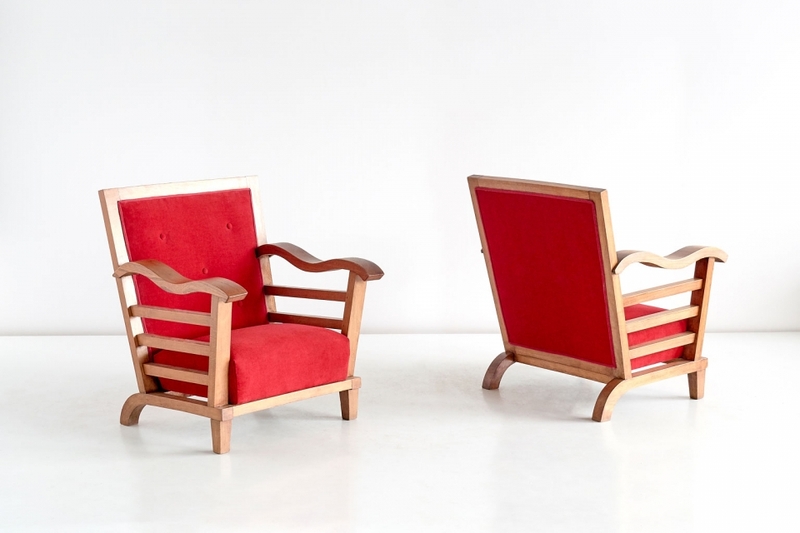 These striking armchairs were designed by Marguerite Dubuisson in 1947. Dubuisson was a French artist mostly working in textile design. However, in the late 1940s she designed a few interiors including some rare furniture pieces, mostly executed in solid oak and elm wood. 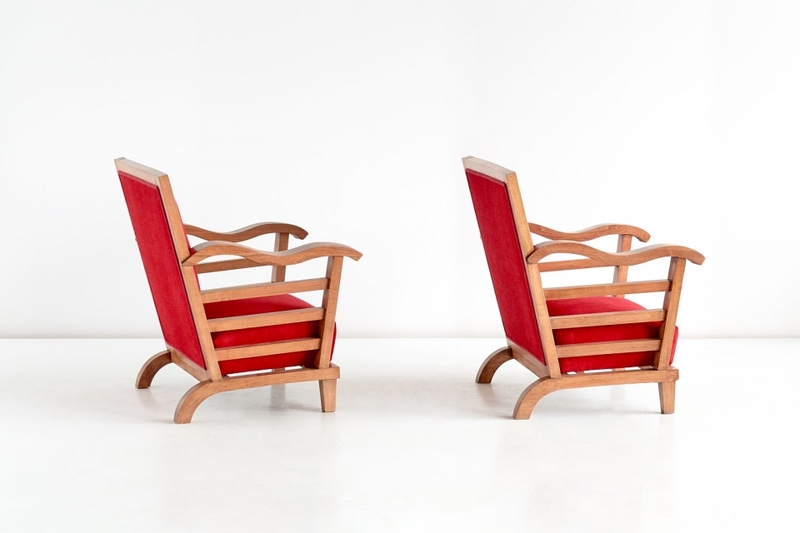 The particularly graphical lines of the carved scallopped armrests and curved back legs contrast beautifully with the simple geometry of the straight back and slatted sides of the chair. A highly original and elegant design. 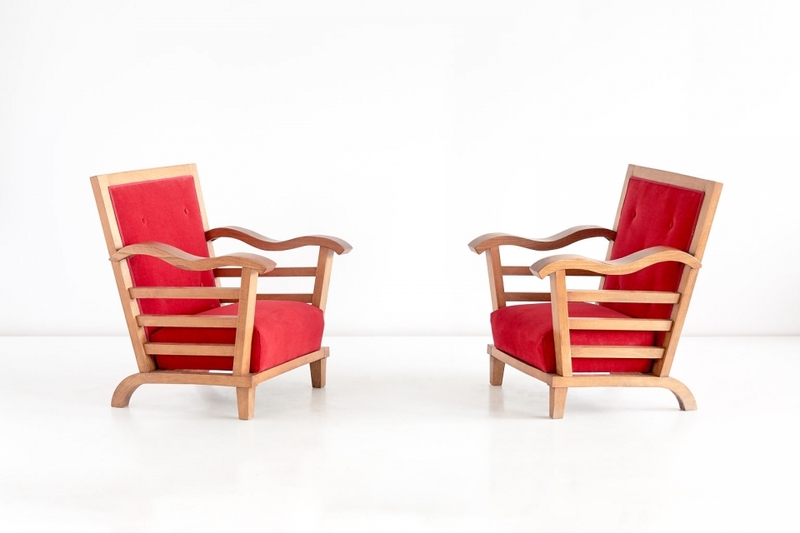 The chairs are in a very good condition and are upholstered in a red velvet fabric.